Nick Leghorn has been an animal lately at getting as many people involved in shooting sports as possible. And taking to the internet to vent his frustrations at ranges that don’t offer him the customer service he’s grown accustomed to. Passive aggressive knife wielding aside, he also set up Take a Newbie Shooting Day to promote established shooters bringing new people to the tribe. And like any good venture, it needed a good kickoff. In this case, the flag went up on National TNSD this past Saturday . . . 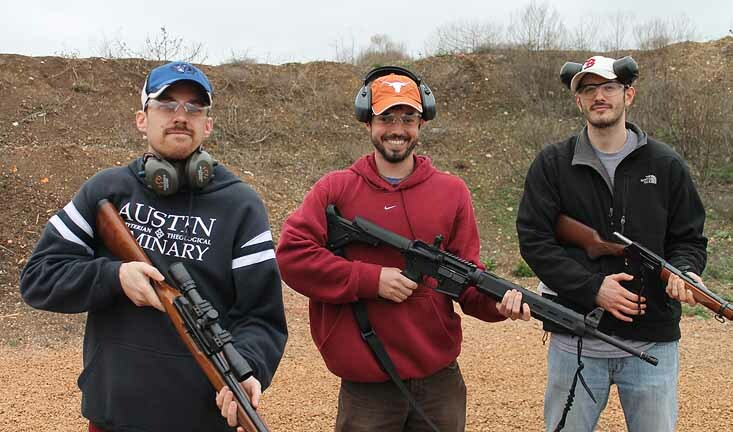 I took a small group of three guys to my favorite range, Best of the West, in Liberty Hill, Texas. 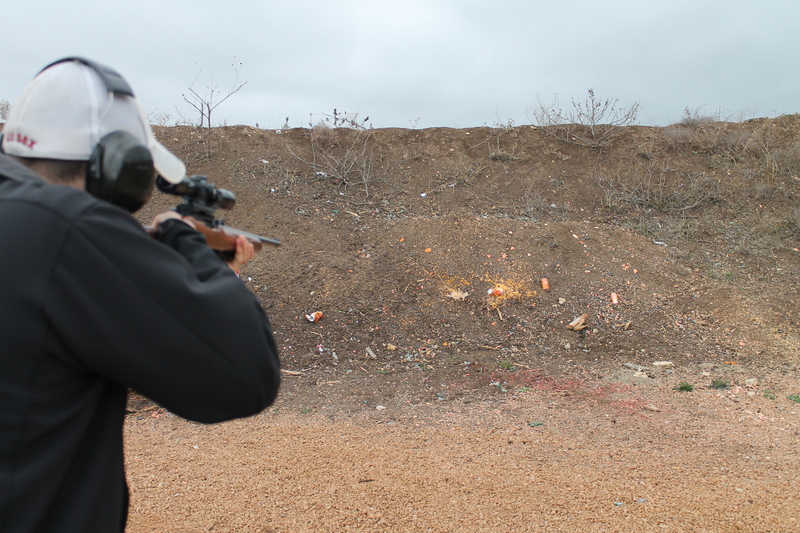 Armed with a small arsenal, we discussed basic shooting fundamentals, and then let loose a torrent of lead on defenseless paper and shaken soda cans. Bring a blue gun for whatever you’re shooting. I only have a dummy pistol, but will be picking up a dummy AR ASAP for such events. Keep the group size small. Three people was about the right number for me to handle. Any more and I would have been overwhelmed. Safety first, second, and third. I only had to pick on my guys once or twice for finger on the trigger violations, but we didn’t have any muzzle sweeps and they were great about locking guns open and showing clear. 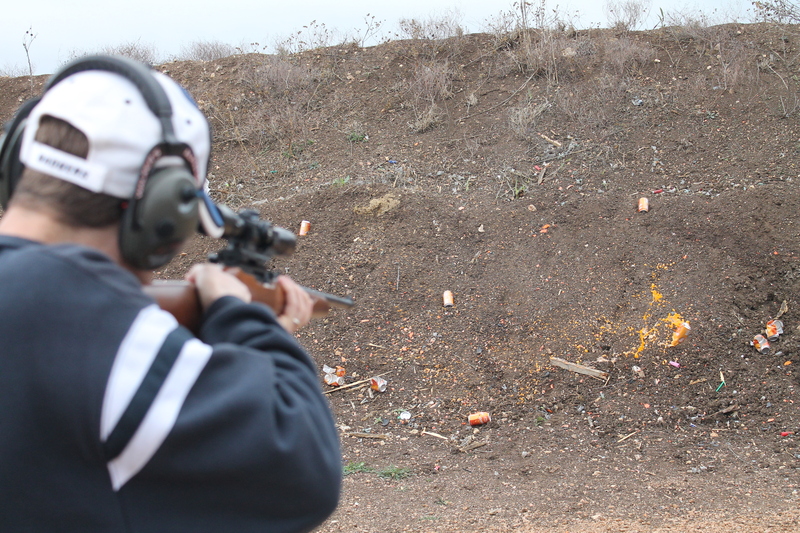 My group was small enough that I could run one person at a time while the others watched or reloaded magazines. I recommend only letting one person at a time shoot until everyone gets comfortable. please resize the main pic, it is 4mb and causes the page to load rather slow on a mobile connection. Good job, we need more converts. Been wanting to try BOTW, usually go to Eagle’s Peak. Looks like my Marlin 336 you guys were shooting. 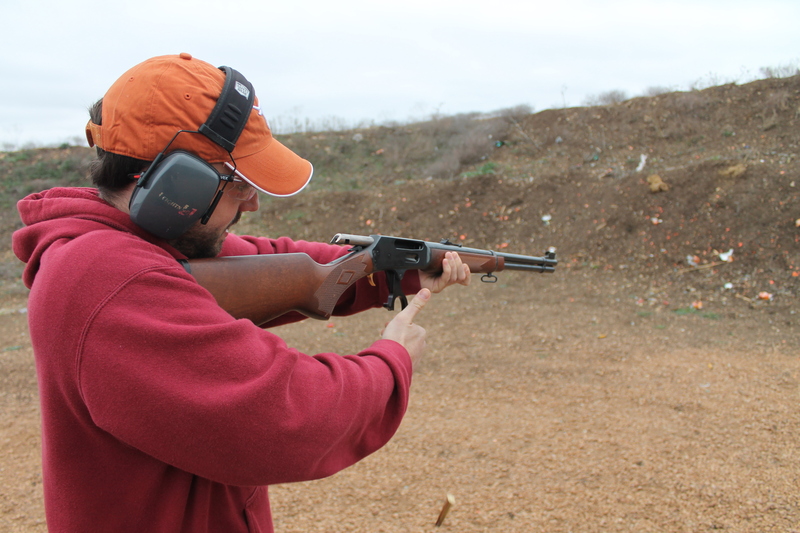 The old .30-30 gets the job done and is a fairly easy learn for a noobie. I have a bolt action .22 with a scope on it that I like to use for noobs. It;s light, accurate and they have to think about each shot. 1 of many things I like about my Ruger single six, it slows their rate of fire down and lets them concentrate on form instead of firepower. Good choice shooting the orange soda. That crap is horrible and deserves to die. I hope to take a few out to the range towards the end of the month. I was a day late to the party, but taking my lady’s son to the range (with the requisite release forms and abundance of safety gear of course) was an absolute BLAST. 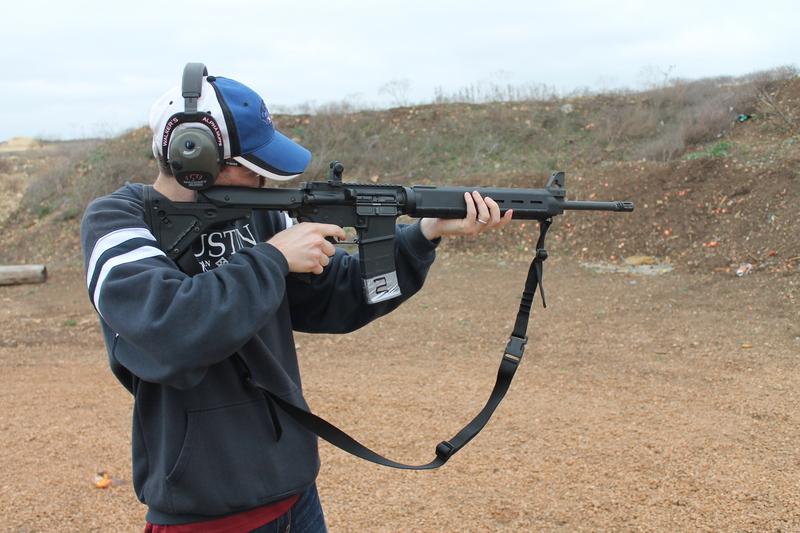 He’s 14, and has jumped aboard the firearms enthusiast bandwagon headfirst. We spent probably 6 hours shredding paper/PVC targets and pinging steel with everything from a little Mossberg 22, all the way up to my 12g, 1911 and AR. 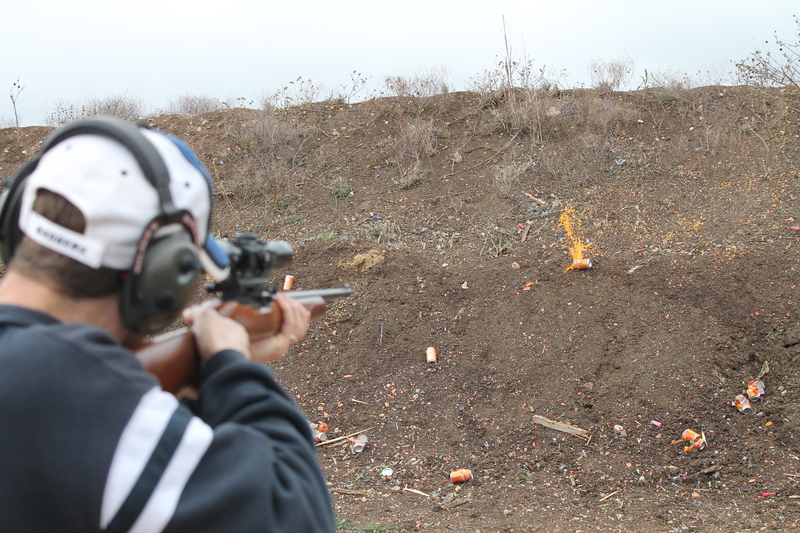 The kid LOVED it, and several times put all 10 shots from my Kommiefornia mags on a 12″ steel plate out at 100 yards! Its obvious that he’s a natural shooter, and I don’t see him slowing down any time soon. I may have only converted one person so far, but I converted the hell out of him! I’ve never had so much fun turning $300 into smoke, noise and PINGS! Thats awesome. Get someone new into shooting, get some bonding time, and have a great day…fuggadeddaboutit…I know that I get jaded sometimes about shooting. I work in a gun store and teach classes, etc, etc so I tend to take going to the range for granted ’cause I do it everyday. It really is a lot of fun to see that look on a new shooters face when they are getting into it. That was a very cool thing you (and everybody else who takes out newbies) did. I have taught quite a few teenagers to shoot and just wanted to remind folks that you do actually need **written** permission from the parent to let someone younger than 18 handle/fire a pistol. The note must be in the possession of the minor at all times. If you do this again, I suggest putting up weekly TTAG posts for the 6-8 weeks leading up to the event, then daily TTAG posts throughout the week before the event. You guys have the bully pulpit, you might as well use it to best advantage! Edit to add: clay pigeons (whole or partial) make excellent reactive targets, and they’re cheap. One of my boys brought home a stack of unbroken ones and a box of slightly-too-damaged-to-use from a shooting sports camp and they’re great for newbies to shoot at 10 yards. Taking friends shooting can sometimes be a bit of a challenge. I think a few friends were a little shocked when the wise-cracking, sarcastic guy who does not take life or anything else too seriously disappeared and was replaced by my former NCO self (minus the cuss words). I’m all for laughter, but giggling when you’re holding my Glock, not so much. We can laugh later, but if you’re on a steep learning curve, you need to take stuff seriously, like right now. 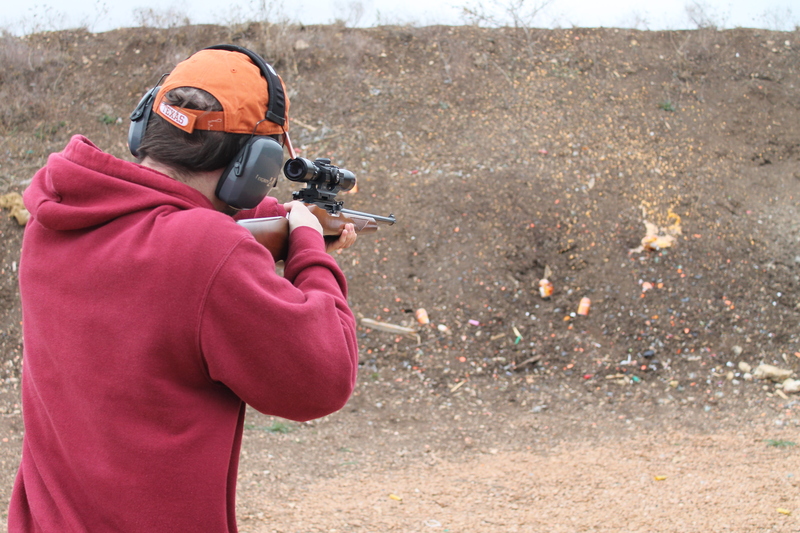 Introducing newbies to shooting is absolutely the most important thing we can do keep and expand our gun rights. 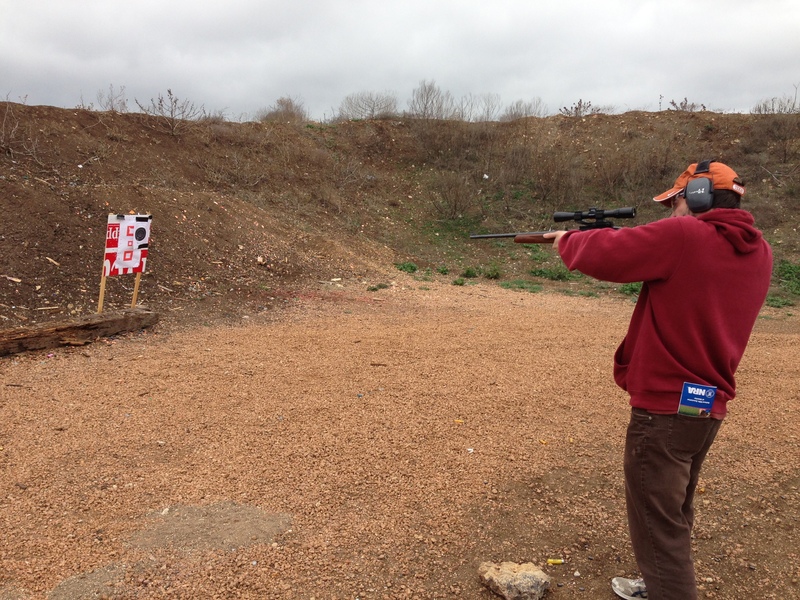 It is particularly important to introduce minorities and women to shooting. One other added feature is by going over safety material, it reinforces my habits too. I would also add that if you’re like me, and you’ve taken newbies to an indoor range that doesn’t allow the shooting of popcans, reactive splatter targets like GLOWSHOT are really good about giving them some visual feedback. Bring a sharpie to label the targets with the gun, caliber, distance, date, etc. They make great newbie souvenirs! I’m jealous of outdoor ranges like that. I wish I knew a good place in central Ohio for that sort of stuff. Punching holes in paper at an indoor range just isn’t quite as fun, especially for newbies IMO. AAAAHHHH SCARY GUN MURDER SKULLFORKING COMMIE FASCISTS GONNA COME AND KILL ME IN MY SLEEP all because they picked up a gun. Sad, but preventable by banning firearms. That AR with a rifle length setup plus and extended UBR just all kinds of REALLY long. Wont be turning tight CQB corners with it. You just have to step back a bit more. Best in the West is an awesome range, for any in the Austin area. Even if you are coming from further away, its worth the drive. Nice ranges, nice folks running the place. My personal range of choice. I’d love to go shooting with you sometime, Tyler. 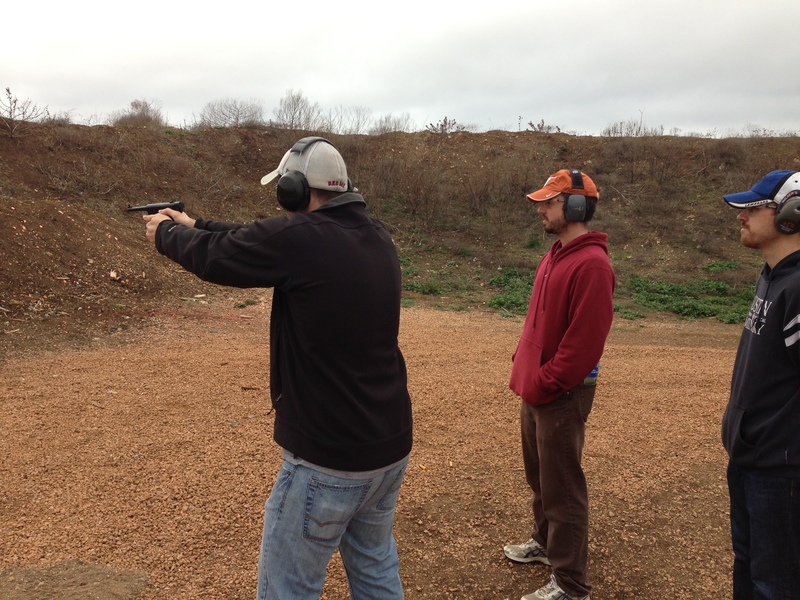 Nick and I have been kicking a range day around. Man I love going to that range. The guy behind the counter in nice, the ranges are awesome, and it’s not TOO far from Austin.